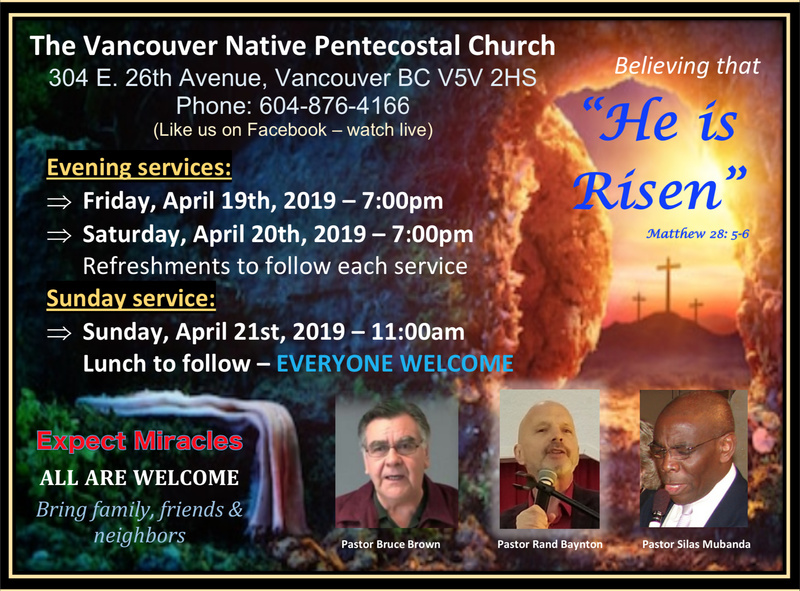 Vancouver Native Pentecostal Church (VNPC) is an Indigenous operated registered non-profit organization. VNPC was established and incorporated in 1985. During our 33 Year History, Vancouver Native Pentecostal Church has experienced varying degrees of congregational membership. At VNPC, we are dedicated to providing our members and guests with friendly services. We value your company and friendship. We have made it our mission to provide a warm atmosphere with Holy Spirit filled services.